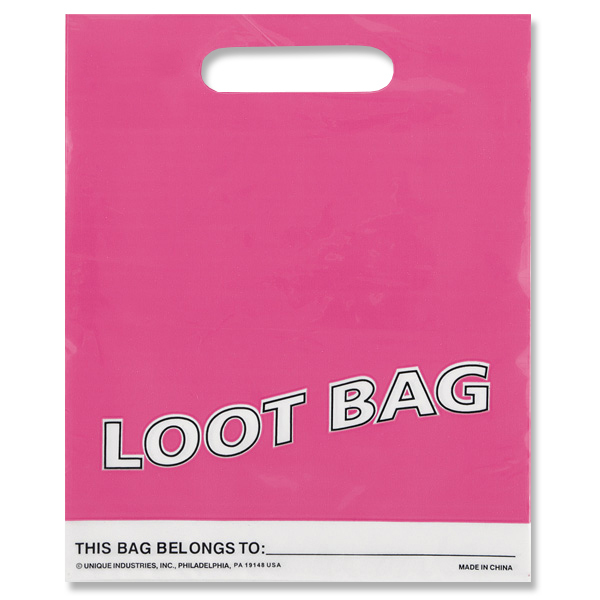 Pink Loot Bag Sold Single Approx Size: Height: 9 Inch (22cm) Width: 7 Inch (18cm) Material: Plastic This goodie bag is a must have kids party product as it gives you space to write name for the kid who is invited. Perfect bag to fill sweets and other party fillers. Surprise your guest with these wonderful and colourful Partyware. Great Value For Your Money. Disclaimer: Colour shades may vary with other matching Items of the same colour Theme.